You need someone who knows this area inside and out. We work with you to find the right home at the right price for you, including all the neighborhood amenities that matter - not to mention the essential criteria you have for your ideal home. Oftentimes buyers don't visualize living in your home the way you do. We can make your home attractive to its ideal audience - which will help you get top dollar. Things like staging the home, making repairs or minor improvements, or even simply painting the walls can be the difference between a home resting on the market and one that's sold fast. "Bonnie and Mark helped us tremendously when purchasing our home in Ventura County. They were always available to show us various places and once we found the place we wanted they did everything they could to help us close. They even helped us after the sale to get our condo clean and move in ready. 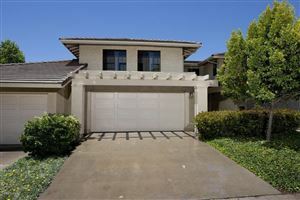 We would highly recommend them to anyone looking for a home in Ventura County." " Buying or selling a house is stressful and doing so long distance is a challenge. Mark and Bonny turned our challenge into an opportunity…an opportunity to purchase a house in Ventura that we now call home. The Goetzes are an amazing team. They are knowledgeable, professional and personable. They took the time to get to know us so that we were never shown a property that wasn’t appropriate. Additionally, when we did find that special house, they went above and beyond to manage work that needed to be done prior to our move. Their recommendations for tradespeople to paint, repair, replace and clean-up were spot on. Mark was here for all inspections. He even climbed into the attic crawl space when we had questions. The best part is we feel that, not only do we have a wonderful home, we now have two new and special friends. Without reservations, we heartily recommend Team Goetz! Katherine and Alan Batchelder "
"Bonny was a fantastic realtor, she was incredibly friendly, patient and generous with her time, addressing all of my calls and questions at odd hours and even weekends. She helped us pre-scope potential houses and made sure to maximize our limited time in the area to ensure they fit our criteria, finding us THE perfect home. Bonny and Mark took the time to carefully walk us through the entire process several times and their advice and recommendations were invaluable. On top of that they went above and beyond with helping us with the house during and after the inspections as we were not local and weren't always able to be present. They were an incredible team and we could not recommend them highly enough!" "Mark and Bonnie sold my condo in a very short time in a tough market! The sale was nothing short of miraculous! And ... they were great to work with!" "During 2013 and 2014 we purchased two Ventura homes using Mark Goetz as our Realtor (our primary residence and a rental condo; and our son and daughter-in-law also purchased a Ventura residence with Mark’s assistance). We were living in the Sacramento area and Mark maintained constant communication by email, text and phone. Mark set up access to his real estate web portal and we were kept immediately informed of property matching our objectives. Mark maintained every home viewing schedule we set and was always responsive to our questions. On several occasions Mark took videos of potential homes of interest and emailed to us for review. Mark is patient, thorough, professional and his diligence --- including writing a personal letter to the realtor and seller, made a significant contribution to our successful home purchases. 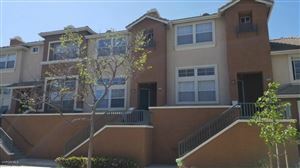 Further, Mark set up and attended our home inspections, natural gas safety inspections, and monitored and followed through on all appraisal and financ"
"Mark and Bonny have been assisting us in the sale of our townhome in Ventura. I have bought and sold a number of homes over the past 25 years and they are truly the best brokers I have had represent me. They are knowledgeable, diligent, thorough and extremely professional. No task is too small and no detail is missed. My wife and I couldn't be happier. We highly recommend them. You won't go wrong." "My wife and I had the pleasure of Mark's help with buying a home in Ventura in the Spring/Summer of 2013. We were not always easy clients to deal with, since it seemed that our desired location and home size changed on an almost weekly basis. Through it all, Mark was always extremely patient, punctual, professional, and trustworthy. 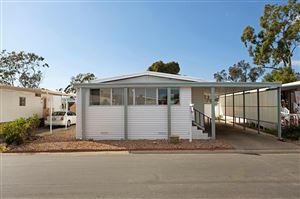 Also, Mark was easy to communicate with and provided us with a near-daily emailed update of property listings of potential interest to my wife and I. Once we submitted an offer that was accepted, Mark worked diligently with our lender to ensure an expedited closing process. Perhaps most importantly, my wife and I were able to get to know Mark (and of course Bonny!) on a more personal level and gained some good local friends in the process of buying our house in Ventura! 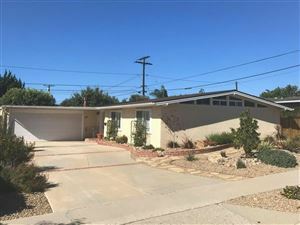 My wife and I would highly recommend using the real estate services of Mark and Bonny Goetz for anyone's home-buying needs in Ventura County. " "I've rented a vacation condo from Bonny and Mark Goetz on several occasions they are consistently reliable and Proffessional. I can not recommend them high enough! " "Very patiently helped me buy a home in Santa Barbara! Took me a year to make up my mind ;) "
"Mark and Bonny are tireless and dedicated professional realtors! Their clients always come first - and I'm speaking as a client. Go with Mark and Bonny!"